Take off that mask and take on your addiction! Alan Charles, author and keynote speaker on drug abuse and prevention, brings hope to the hopeless as he shares his unbelievable luck at surviving a 24-year addiction to cocaine. Alan’s raw honesty and courageous heart breaks the stigma of addiction and offers a unique perspective into the mind of an addict. 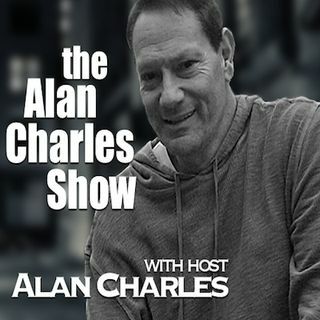 Join him each week as he guides his listeners toward a transformational mindset on his LIVE radio broadcast, The Alan Charles Show! The ... See More opioid epidemic has reached crisis levels, and with so many families affected by addiction, opioid-related drug overdoses and death, the time is NOW to have a real, constructive conversation about addiction that can lead to better prevention, treatment and recovery services. Alan Charles sheds light on a dark world and brings his listeners to a true understanding of the grip of addiction. It is only with this understanding that we can begin to heal. Alan Charles is a recovering addict and author of Walking Out The Other Side, a riveting account of his journey from the throes of addiction to the miracle of sobriety. He speaks openly about his ordeal to a wide spectrum of audiences to bring his message of hope and healing. As a former professional baseball player and former harness racing driver and trainer, Alan has proven himself to be a unique and ambitious individual who goes after his dreams. But as the father of two beautiful daughters, Alan’s most important dream–sobriety–has finally come true, and he’s passionate about showing others how to achieve this dream as well.